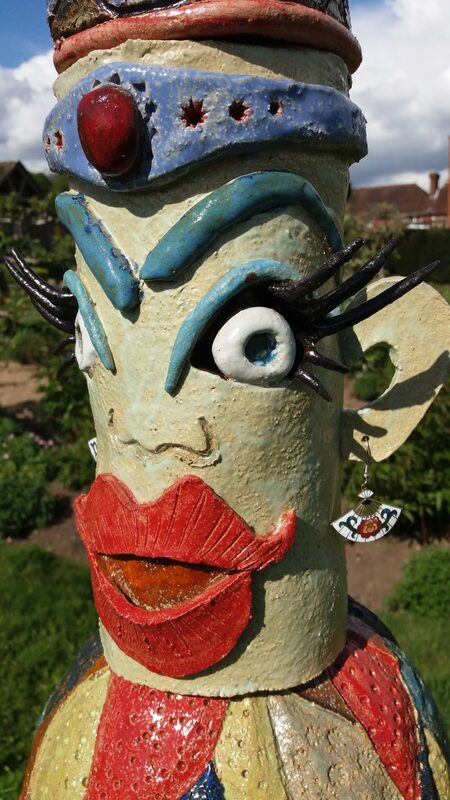 My exuberance and zest for life naturally transpires into my sculptural works with liberal use of bright expressive colours, representations of organic life and voluptuous female form. 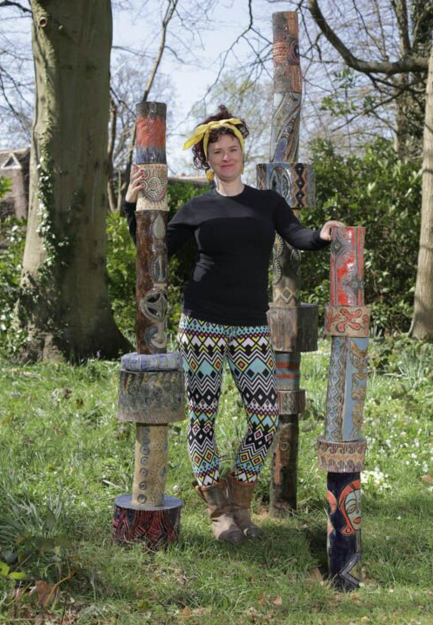 I love to learn about different cultures from far and wide and allow my observations to inspire me; the raw celebration of ritual, the significance of dreams and geometric recurring patterns are all themes I explore within my work. 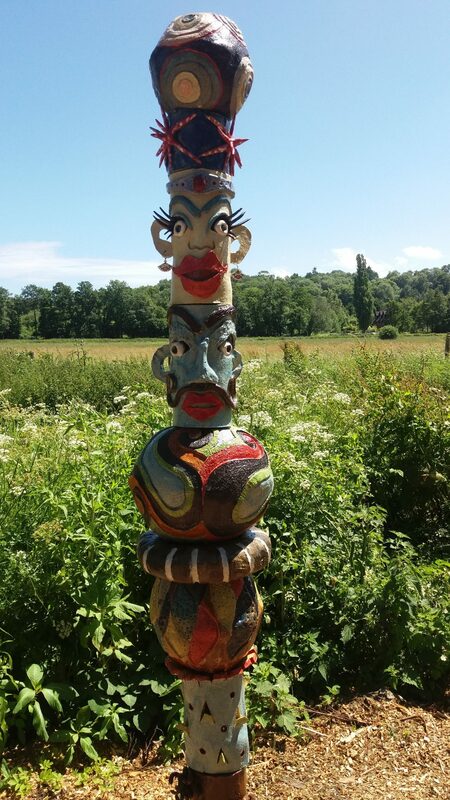 I like to spend time with my clients exploring and translating their ideas into personalised totem pole sculptures. 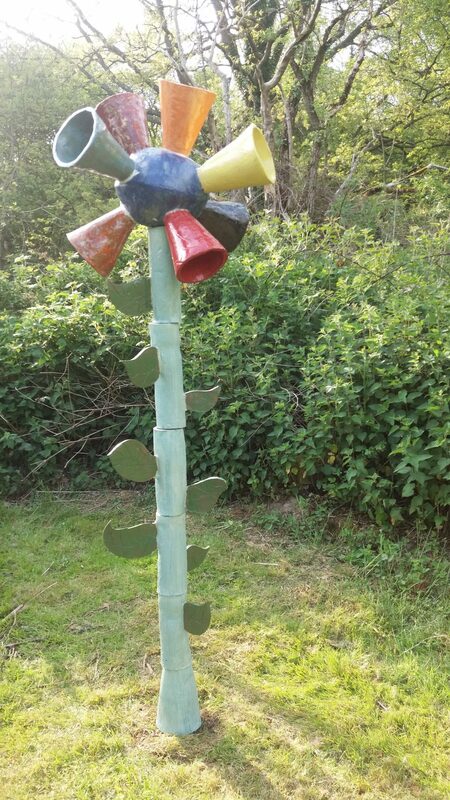 Sculptures are weather proof and are suitable to be placed in your garden. 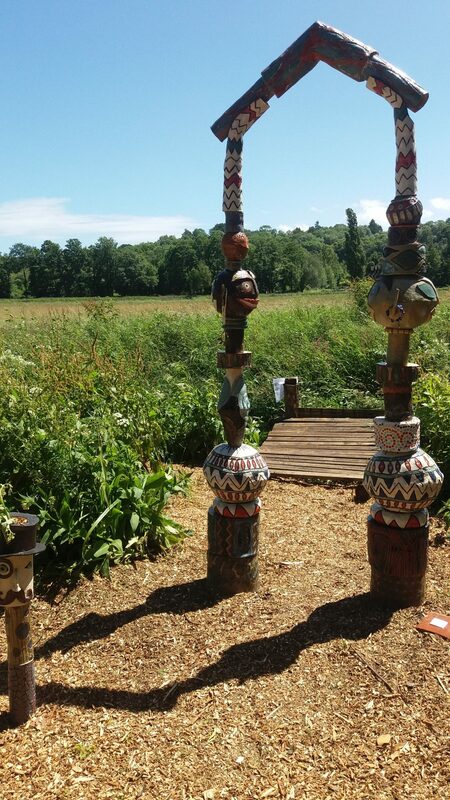 Clients may specify the height they would like as the totems are made in sections. 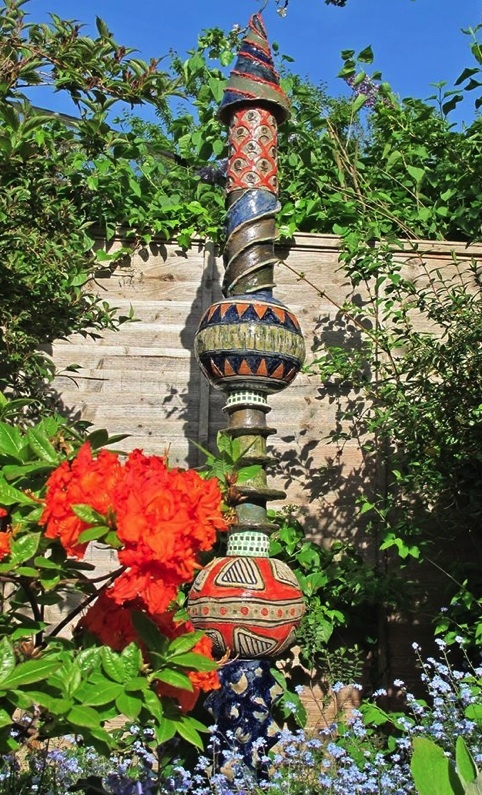 My recent works have been focused on exploring the influences of totemic tribal artefacts. 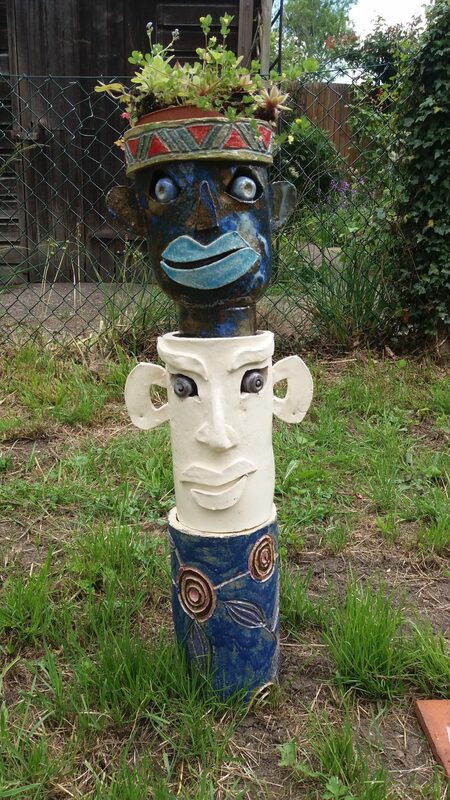 I specialise in pottery and totem poles in particular. 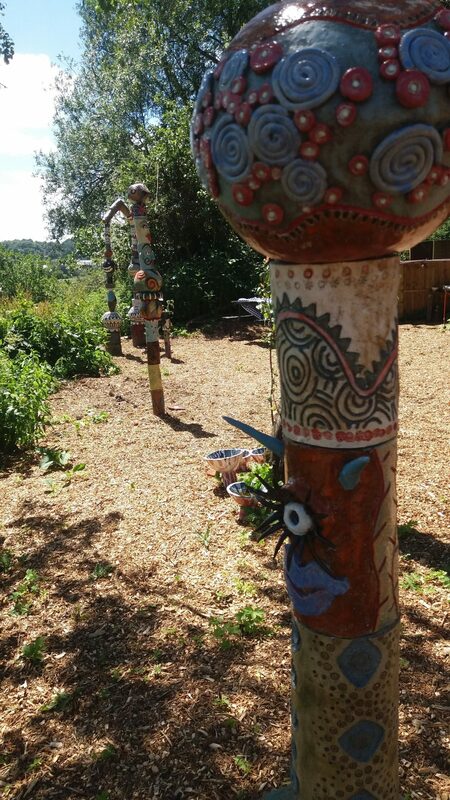 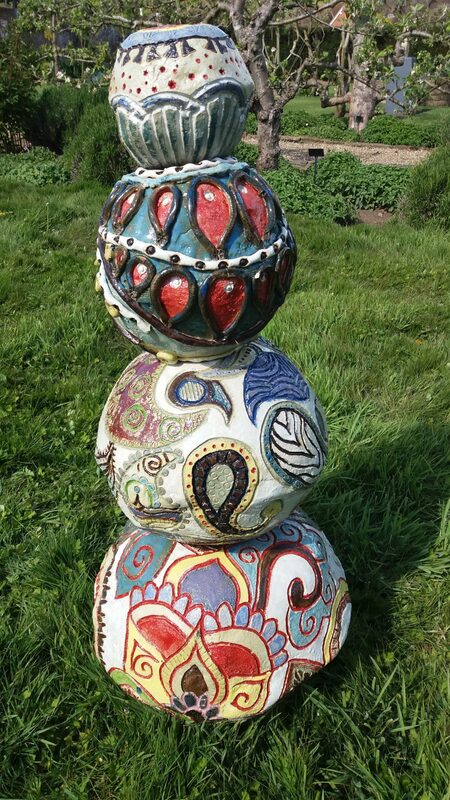 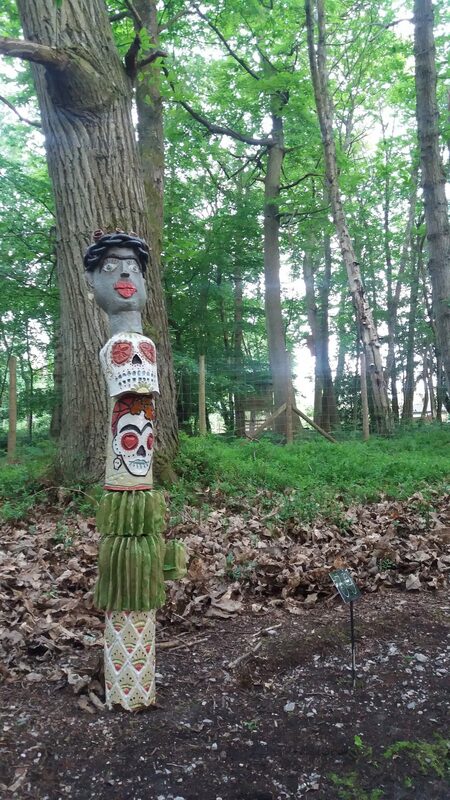 My eye-catching totem poles stand between 2m and 3m high and are fired in a variety of colours. 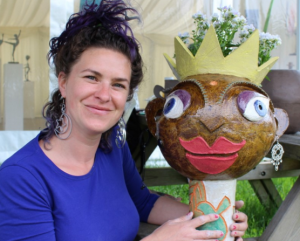 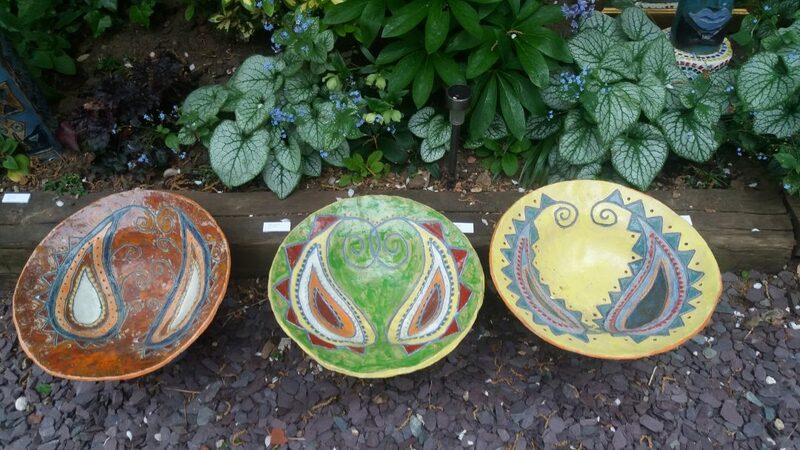 Services: I undertake private commissions for ceramic sculptures, Contact me for a no obligation discussion.